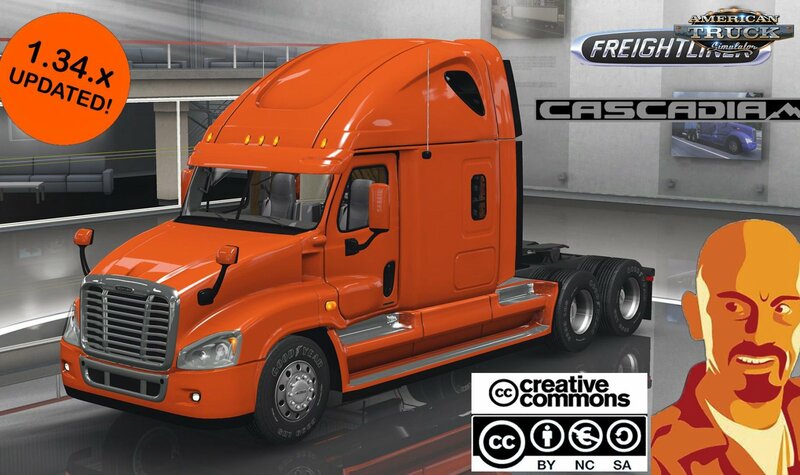 Mod truck Freightliner Cascadia 2018 v1.0 by CyrusTheVirus (1.34.x) for ATS | American Truck Simulator game. - Few corrections in cabin. - Deleted "DLC Metallics" paintjobs. - Adaptation to 1.31.x ATS game version. - Def & mat files corrected. 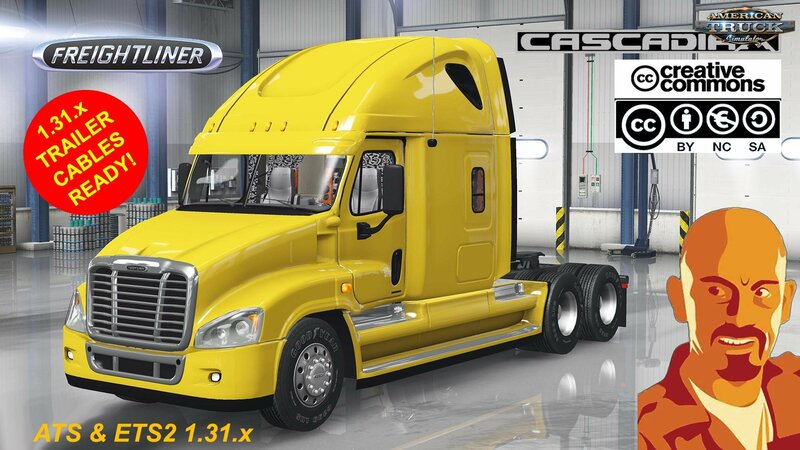 - Added new 6×2 chassis. 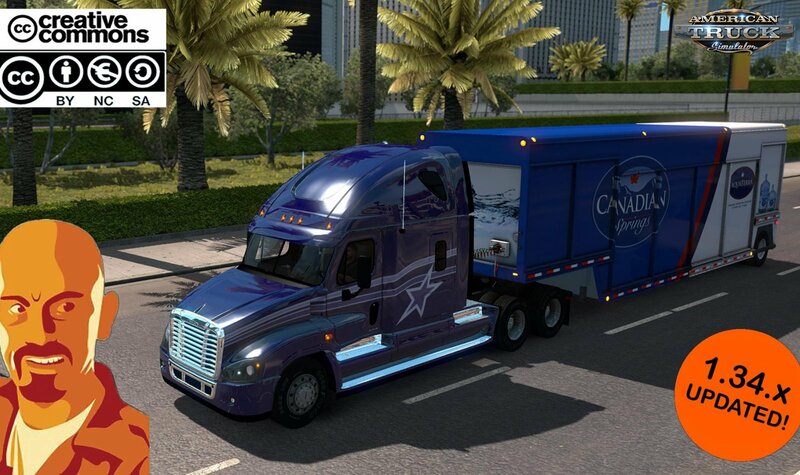 - Added front banner “OVERSIZE LOAD”. - Added front danger flags. - Adaptation to 1.28.x public beta ATS game version. - SiSL Megapack addon available. - Custom plate addon available. 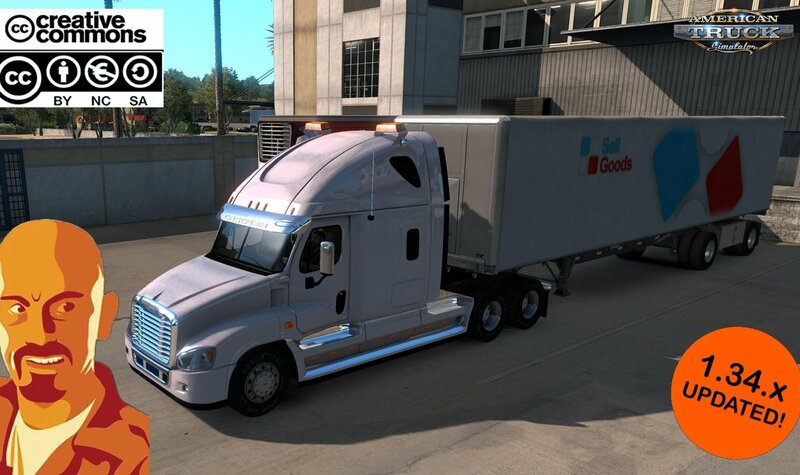 CyrusTheVirus (This update), Slamauser (Truck & some skins), Jon_Ruda, Sergej Baltazar (convert to ETS2), Solaris36 (convert to ATS & updates), Mandy (some skins), Kriechbaum (sounds).